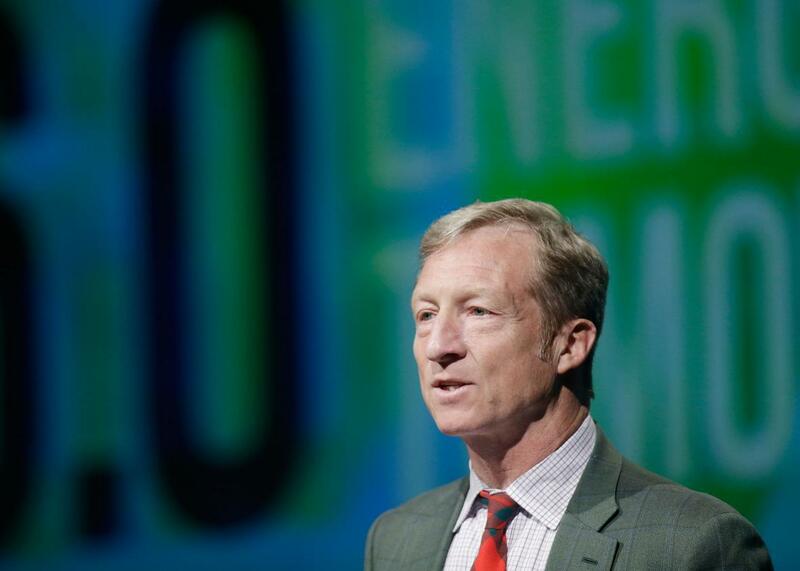 Tom Steyer’s climate litmus test: Can NextGen force Hillary Clinton to finally get specific on global warming? Tom Steyer introduces a panel during the National Clean Energy Summit 6.0 at the Mandalay Bay Convention Center on Aug. 13, 2013, in Las Vegas. Hillary Clinton has promised to make global warming a key pillar of her 2016 campaign but, much to the frustration of the climate crowd, she hasn’t gone into any detail about how she’d actually address the problem as president. On Friday the biggest individual spender (non–dark money category) in the midterm elections suggested that’s going to have to change if the Democratic front-runner wants the backing of his well-funded super PAC. Tom Steyer, a hedge fund manager-turned-environmental activist, announced that his NextGen Climate Action group will only back candidates in 2016 who push energy policies aimed at having half of the nation’s electricity generated from renewable or zero-carbon sources by 2030, and 100 percent by 2050. “That’s the hurdle candidates have to get over to win our support,” the billionaire told the New York Times. The creation of such a clear, public litmus test is surprising—particularly since earlier this year Steyer held a private fundraiser for Clinton in his San Francisco home. Clinton, though, has taken a more moderate, let’s-not-move-too-fast position that has angered many in the climate community, which has long been upset over her unwillingness to speak out against the Keystone XL pipeline. Clinton’s strongest climate comments to date were a promise to fight to preserve the regulations being implemented by President Obama’s U.S. Environmental Protection Agency at “all costs.” That was welcome news to climate activists but hardly something for them to get excited about. They’ve long pushed for Obama to go bigger on climate, and they want Clinton to make promises that go beyond more of the same. As I’ve noted before, Clinton doesn’t have to pay much heed to your run-of-the-mill climate activist in the primary given that she won’t have to worry about them come the general. Their legitimate fears about a climate science–denying Republican president will be a much greater motivating force on Election Day than their doubts about Clinton ever could be. But Steyer’s vow could force Clinton’s hand. He donated $67 million of his own cash to his NextGen Climate Action super PAC in 2014 (without much to show for it). While he hasn’t said how much he’s willing to spend this cycle, a NextGen spokeswoman told the Times that he intends to “double down.” If he does, he’ll give Clinton millions of more reasons to finally get specific on an issue she’s so far been treating as a political advantage as opposed to a real-world problem. Hillary Got Heckled by a Climate Activist at a Town Hall. She Didn’t Handle It Well. Democrats Assumed They Could Embarrass the GOP with Climate Change. Democrats Were Wrong. Obama Tells the Truth About Climate Change. Oops?